There is room to grow with this simple and clutter-free wireless system from Lorex by FLIR. 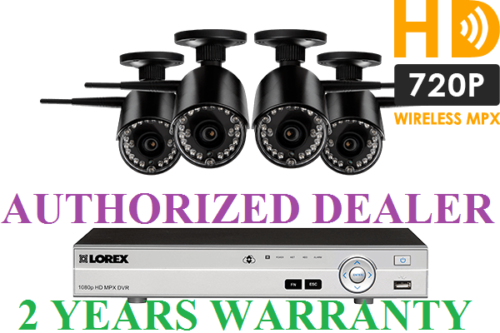 It includes our professional grade eight-channel DV700 Series DVR and four 720p LW3211 wireless security cameras. Space for 4 additional security cameras is there for when your monitoring needs evolve. Choose from any of our other analog security cameras, from 480TVL resolution all the way to 1080p HD resolution to expand your security coverage. 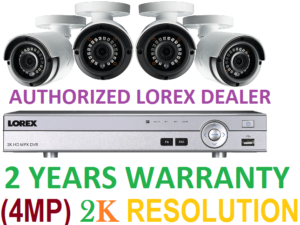 Please note that four is the recommended amount of wireless security cameras you can have on one system. A steady connection between your LW3211 cameras and your DVR is maintained by our SignalGuard technology. This technology will automatically reset the connection if the signal strength should ever drop (or disconnect). Interference from other wireless devices will also be minimized thanks to the LW3211’s built-in frequency hopping technology (known as FHSS). HD quality images have generally been reserved for wired cameras. That is not the case with the LW3211 wireless security camera. It boasts an impressive 720p HD resolution. It can also record at a high 25 frames per second (FPS) frame rate to ensure smooth on-screen movement that doesn’t miss a beat. Quickly view live feeds (or review recorded footage) from virtually anywhere in the world with our FLIR Cloud app. This app also makes it possible to send push notifications to your smart device for motion-triggered events. With iOS®, Android™ and PC options your security system will always be at your fingertips. Receive crisp wireless footage day and night with the LW3211 wireless security camera. They feature a night vision capability of up to 135 feet. 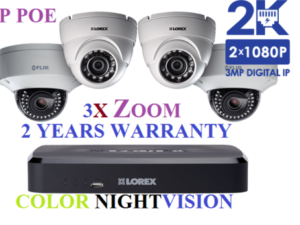 This ensures that your wireless security cameras will never leave you in the dark. Your wireless security cameras can be safely used outdoors. They are engineered to endure the most challenging North American climates. Rated IP66, your wireless security cameras can withstand cold climates and torrential downpours. Versatile and reliable, you can be confident that your security cameras are capable of looking after themselves while they look after you. 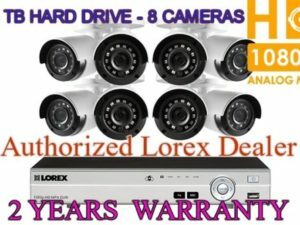 Lorex uses security certified hard drives that can handle the high workload that comes along with security monitoring. Engineered to be in constant use, the 2TB hard drive within the DV700 is extremely reliable and efficient. If you wish, you can program your DVR to record only during specific time periods or when motion is detected to expand your recording time. The calculation above is based on recording at 720p @15FPS. Recording times will vary based on 2K or 4K resolution recording. 1. At full signal strength. Limit number of obstructions to ensure best performance. 2. Wireless cameras automatically reconnect with the receiver upon detecting low signal strength to ensure a constant wireless connection. 3. 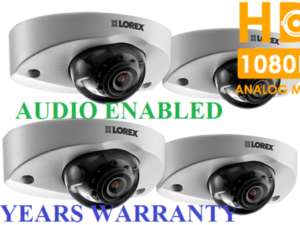 Compatible with Lorex HD DVR DV700 / LHV0000 / LHV1000 / LHV2000 Series only. Visit for the most up-to-date list of compatible recorders. 4. Stated IR illumination ranges are based on ideal conditions in typical outdoor night time ambient lighting and total darkness. Actual range and image clarity depends on installation location, viewing area and light reflection/absorption level of object. 5. Not intended for submersion in water. Installation in a sheltered area recommended. 6. Maximum wireless transmission range. Actual range dependent upon building materials and other obstructions in the path of the wireless signal. All trademarks belong to their respective owners. No claimis made to the exclusive right to use the trademarks listed. 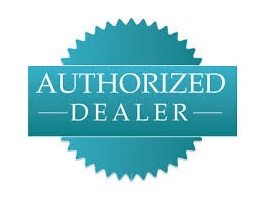 BUY FROM A TRUSTED EBAY SELLER! ABSOLUTELY NO TAX OR CUSTOMS DUTIES FORCANADIAN CUSTOMERS!